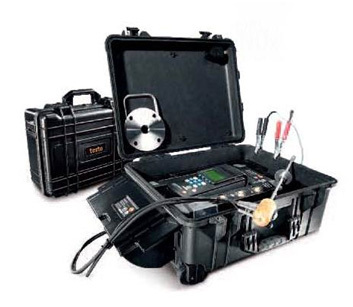 The first and only portable measuring systems certified for compliance with revised MARPOL Annex VI & NOx Technical Code 2008 by Germanischer Lloyd, as well as O2, SO2, CO2, and engine diagnosis. The operation of 365 EMDS is so easy and reliable that the NOx measurements can be carried out by the crew, on the main engine and on all diesel generators during continuing operation of the ship. Practiced and regulation-compliant environmental protection could not be easier. The big challenge: NOx emissions and fuel consumption must be balanced. The MARPOL agreement for the protection of the marine environment from pollution presents ship-owning companies all over the world with major challenges in the areas of engine optimisation and pollutant emission. The experts agree that from Tier 2, and from Tier 3 at the latest, on-board instruments for the monitoring and recording of emissions are indispensable. The big challenge for all shipowning companies is to create a proper balance between the requirements of environmental protection and the need to conduct marine transport economically. One part describes the fundamentals of which parameters for NOx monitoring on board must be tested, and which measuring instruments are permitted for this purpose. The second part describes the test procedure and responsibility as well as the calibration, sampling and calculation principles. 1. The engine parameter testing procedure: As long as it can be proven that only original spare parts were used for engine repairs and maintenance, and no emssion-relevant settings were changed, the measures are conforming to the regulation. Disadvantage: non-original spare parts may not be used. With the measurement system 365 EMDS, you are free in your choice of spare parts and not subject to these limitations. 2. The direct monitoring method: This precise measurement procedure guarantees the measurement of all NOx emissions. However, the fixed installation of an emission monitoring system isnecessary for this purpose. Disadvantage: The fixed installtion is complicated and expensive, and for this reason it has hardly ever been used in practice up to now. The EMS and EMDS offer a revolutionary solution in this case. 3.The simplified measurement method: The procedure can only be used for on-board verification tests and for periodic and intermediary tests. Disadvantage: Here too, complex and cost-intensive measurement technology is necessary, which also may have to be taken on board and installed. The 365 EMDS offer a perfect alternative. With the 365 EMDS systems not only you can measure MARPOL Annex VI conformity on board, but also have the benefit of other advantages. Thus, the recording of all engine and environmental data relevant for a MARPOL-conformity NOx measurement was up to now almost impossible, or very complicated, and as a result very costly. The revolutionary portable system combines highly-developed hardware and software. It consists of the cylinder pressure measurement system and the analyzer 350-MARITIME, the ﬁrst and only portable ﬂue gas analyzer with type approval certification (GL,DNV,RR). If the engine data are known, the system can deﬁne all parameters necessary for the calculation, and with the help of the specially developed intelligent software, convert the speciﬁc NOx values into g/kWh. In addition to this, the 365 EMDS includes precise cylinder pressure measurements (without using a TDC decoder), and performance pressure recording, making it very robust and simple. The system in its basic configuration provides all information necessary to convert measured emissions concentrations into absolute and specific values i.e. kg/h or/and g/kWh. Other convensional monitoring systems usually measure cylinder pressure and possibly fuel line pressure. They essentially provide only raw measured data i.e. max. combustion pressure, compression pressure (not the actual pressure, but the pressure at ignition point), indicated mean effective pressure if they have a TDC marker and injection timing if the fuel line pressure is monitored. For the last parameter, various difficulties would exist due to the extremely high pressure values i.e. safety, leakage etc. The information provided from these systems is usually the result only of the direct measurement without additional information i.e. diagnosis which is the main purpose of such systems. The 365 EMDS system is based on a completely different concept. In its basic version the system analyzes emission gases and it is also a cylinder pressure monitoring system that provides at least all the raw data using the least possible hardware (without using a TDC encoder), making the application easy as it requires no installation. It is applicable on all engine types. The software is user friendly requiring no special training for its application when used by engineers having basic reciprocating engine knowledge. It requires no TDC mark, which simplifies operation and installation. The TDC is calculated thermodynamically with an accuracy of 0.1 deg of CA. It provides fuel consumption, power output and exhaust gas mass flow rate which are required to convert measured emission data to kg/h or g/kWh using only one sensor. The use of a TDC sensor would have required drilling of holes on the engine flywheel or installation of a disk or strip which is difficult even for new vessels. Furthermore, it is difficult to determine with the required accuracy the TDC position of a specific cylinder (dismantling of a cylinder head is needed). But even if this was accomplished then the TDC position of the remaining cylinders (multi-cylinder engine) is estimated via geometry which is usually distorted due to oscillations etc (i.e. it is based on firing sequence and the crank angle phasing). If a 1 deg CA error exists in TDC determination (most likely with this technique) then cylinder power output can vary by 10%. Furthermore if a TDC sensor was used the measured cylinder pressure data would be worthless in the case of a TDC sensor fault. The system measures cylinder pressure sequentially i.e. continuous cycles are recorded compared to other systems which measure only 360 or 720 points (with 1 deg CA resolution) by summing up the values for each crank angle. The user can define the number of acquired cycles and also the measuring resolution i.e. from 0.1…1 deg CA. It has a built in database and allows transfer of measurements for further processing between vessel and main office. It guarantees the quality and validity of measurements transferred to main office i.e. no interference from 1st engineer. As it is obvious it is very important to have engine measurements the quality of which do not depend on the engineer. The shop or sea tests of each vessel are embedded into the system. The system provides long term trend analysis (based on configuration). The system can minimize travel cost because measurements can be conducted on board and transferred through the internet. This way the main office has in a matter of minutes a complete picture of engine condition. Applications of the 365 EMDS System. The system is suitable for any type of diesel engine from main propulsion low speed two stroke-supercharged engines to high speed four stroke engines. It can convert measured emission concentration values into absolute and specific ones applying all the corrections foreseen in Marpol Annex VI. The system can also be used in Diesel Engine Island Power Stations. Exhaust gas mass flow rate. Therefore the method is based on actual engine measurements and is the only existing system that can provide NOx emission values as required by Marpol Annex VI in a few minutes with minimum hardware and without any preparation. General Information Provided from the System. Engine shop tests and sea trials file. Total and specific values for O2, CO, CO2 and SO2 (optional). Via the diagnosis function, it also provides measurement data on the engine settings, the status of the cylinders and sub-systems, and give useful tips on the optimum setting and maintenance of the entire engine system. This results in a considerable potential for fuel savings. In additon to this, errors in the engine system can be recognized early and eliminated before a critical oparational status can take place, or cost-intensive repairs (possibly even at sea), become necessary. 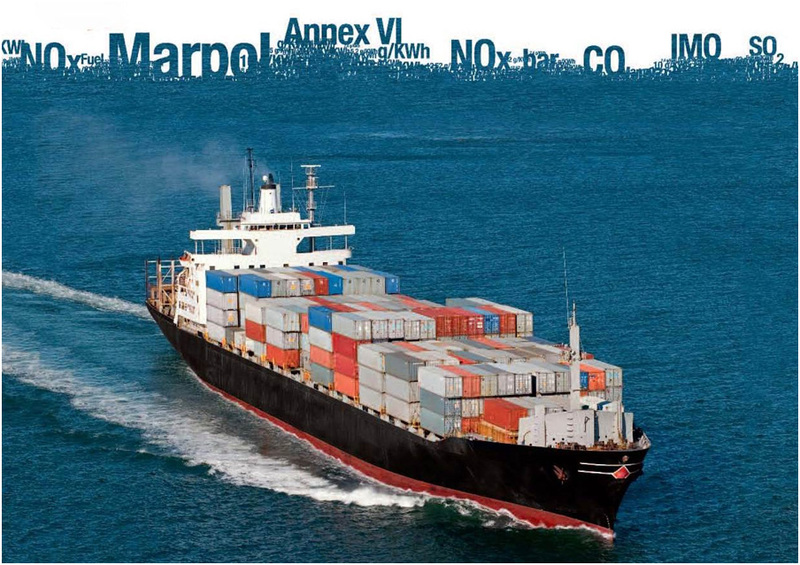 Record emission values in the form required by Marpol Annex-VI. • Provide assistance for the evaluation of engine NOx and CO2 emissions. • Monitoring Engine Cylinder Pressure. • Provide diagnosis information depending on the configuration. 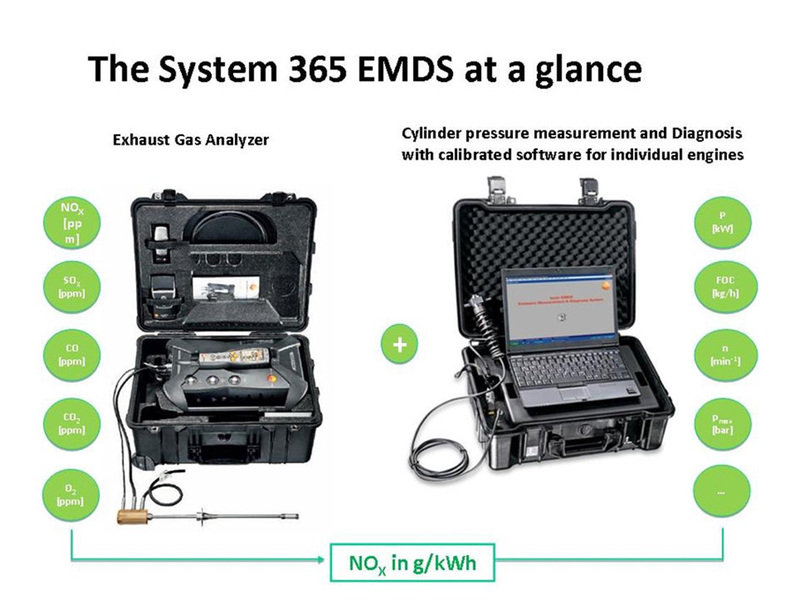 365 EMDS offers a complete diagnosis of the engine depending on the version. It is suitable for both M/E and DGs without any modification on the engine or the engine flywheel. It provides the actual cause for a fault. This includes both engine and its subsystems i.e. fuel injection, T/C, A/C etc. 365 EMDS provides suggestions and actions to improve engine performance. It provides optimum engine tuning. It can provide engine tuning even if no measurements from the fuel injection system are available. This is significantly important because monitoring of injection pressure, even if possible, is extremely difficult and has some risks due to the extremely high fuel injection pressures. 365 EMDS provides long term trend analysis (based on configuration). 365 EMDS can minimize travel cost because measurements can be conducted on board and transferred through the internet. This way the main office has in a matter of minutes a complete picture of engine condition. 365 EMDS depending on version has a built in simulator allowing the simulation of engine operation.